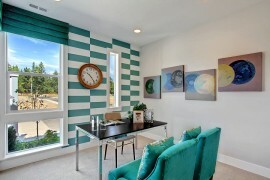 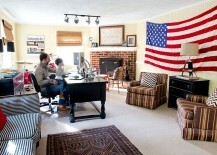 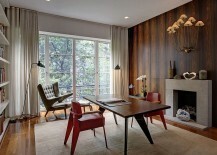 Gone are the days when home offices were just a desk and a chair hurriedly put together in some corner of the house. 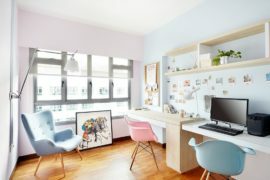 Modern technology and seamless connectivity have ensured that many of us are now able to take work home with ease, making working from home super-convenient. 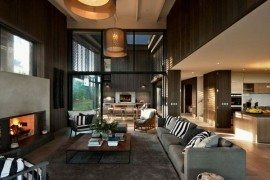 Home offices, workspaces and home studios have become an integral part of the blueprint in the case of most contemporary residences. 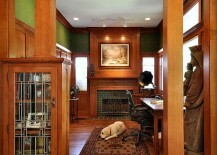 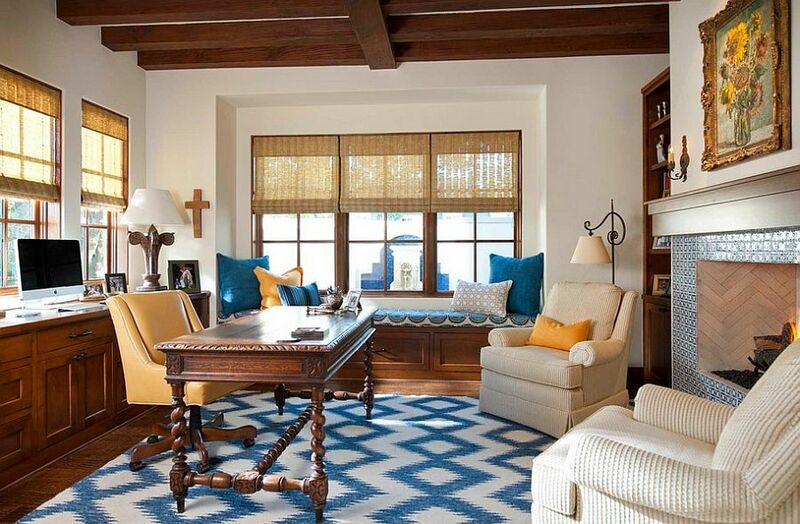 Creating this comfy and productive home office is all about finding that perfect balance between form and function. 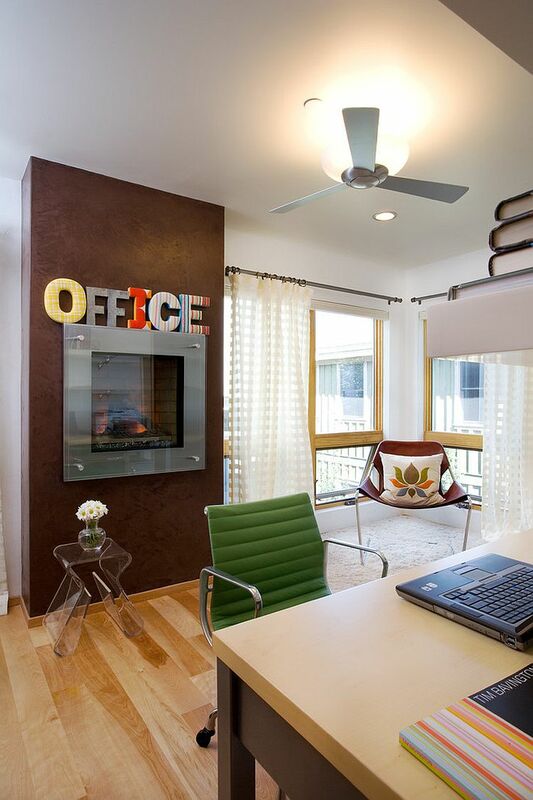 But beyond the bare minimum there are features that can truly transform your home office – features like a scorching fireplace! 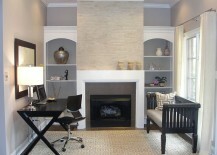 A beautiful fireplace is bound to be the focal point of any room that it sits in, and in small home offices it becomes an even more effective addition. 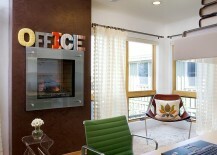 There are plenty of ways that you can integrate a fireplace into home office design, and the 40 fabulous inspirations on display today will definitely inspire you in giving this hot design trend a shot. 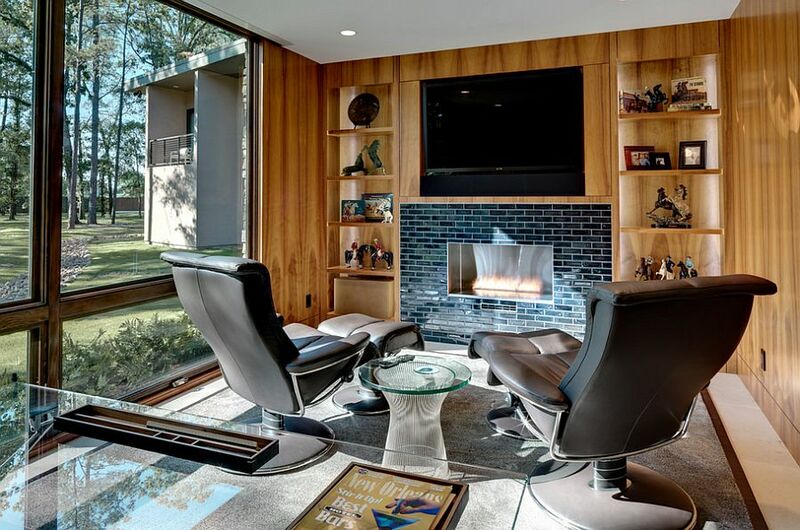 Contemporary, modern and transitional home offices with a sleek, minimal fireplace combine simplicity and elegance with inviting warmth and a relaxing ambiance. 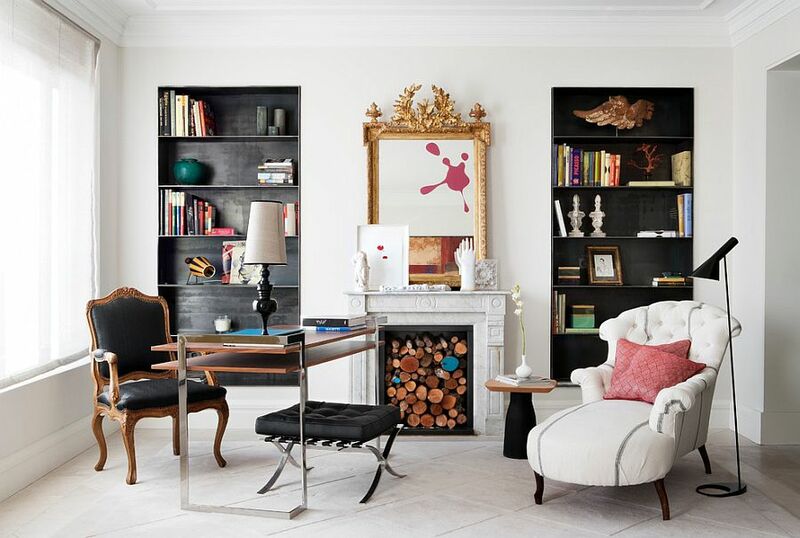 This is a look that works very well for those who wish to combine that classic home library with a contemporary workspace while blurring the boundaries between both areas. 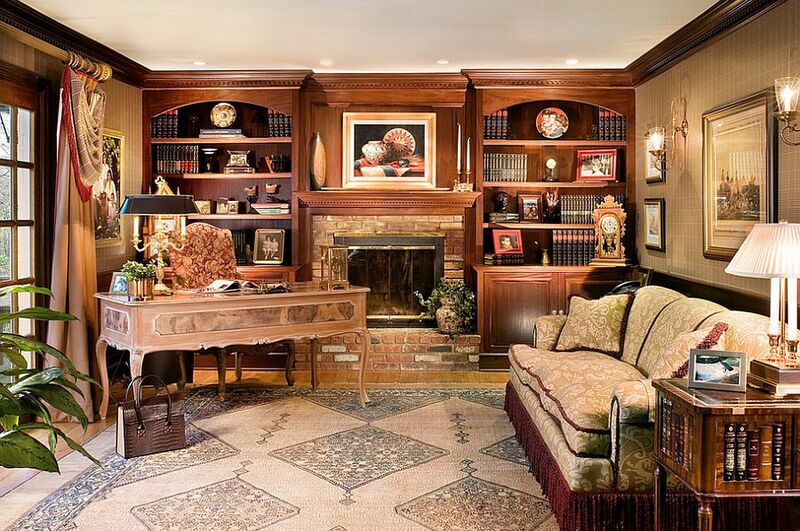 From classy modern fireplace designs with glass fronts to those with more traditional surrounds and mantels, you can mix and match to shape a unique home office that steals the show! 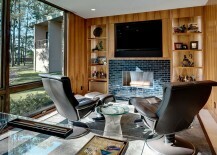 Homeowners looking to combine a touch of entertainment along with the home office can also place the television above the fireplace in order to make the most of available space. 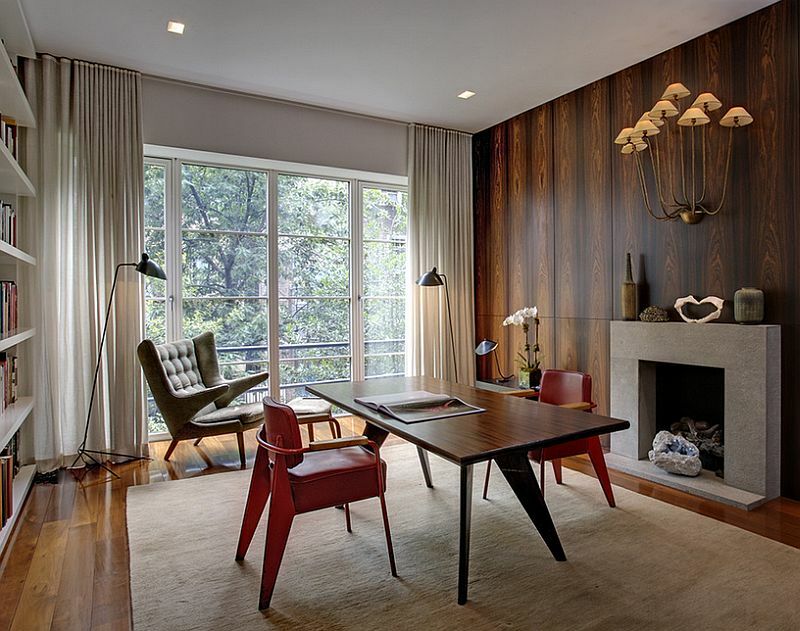 This approach has both its pros and cons and it is best to understand all the strings that come attached before opting for this unique look. 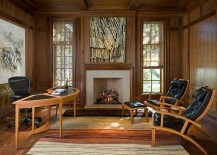 This is definitely our favorite approach when it comes to a fireplace in the home office, as it turns the lovely focal point into a practical and enjoyable addition. 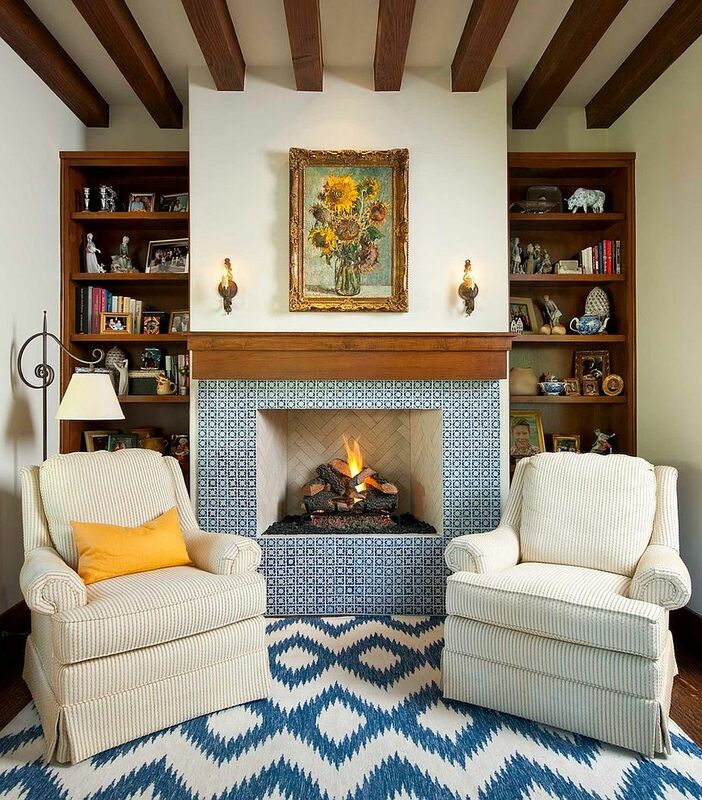 Throw a chair or two next to the fireplace, add a coffee table or a side table if you have additional space, and bring in a floor lamp to turn that space next to the fireplace into a dreamy sitting area. 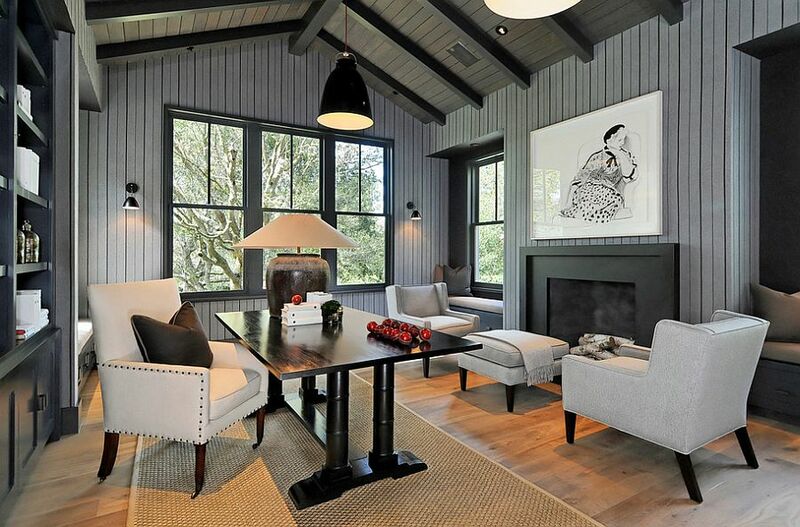 This little sanctuary will serve you well as a tranquil reading nook, a perfect conversation area while you have guests or clients at home, and a serene relaxing zone on those cold winter nights and during the wonderful Holiday Season as you are surrounded by friends and family. 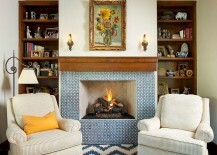 Talk about a fireplace, and most of us tend to drift down memory lane and reminisce about happier times. 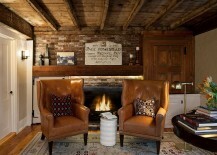 There is something inherently nostalgic and evocative about a hearth that makes it dear to all of us. 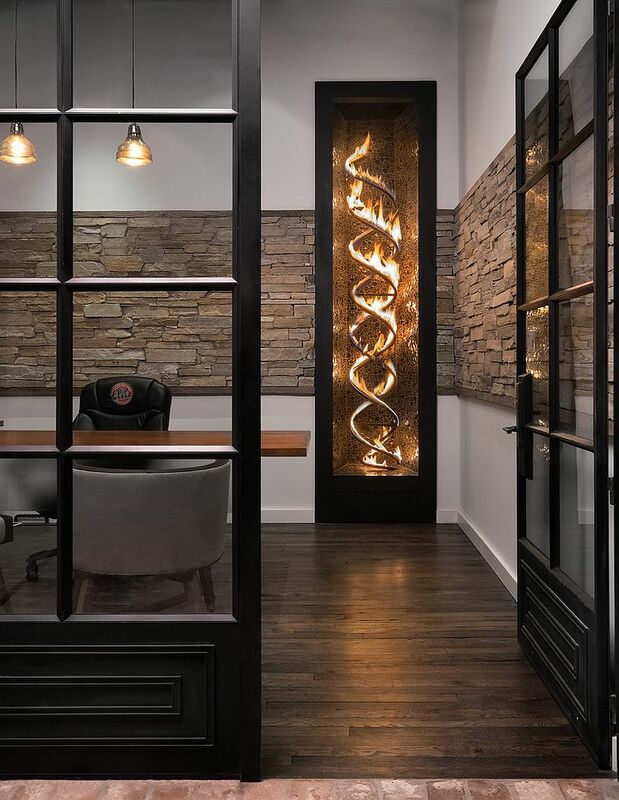 This is precisely why they are the perfect additions for the traditional office spaces filled with heavy wooden surfaces, stone walls and rustic finishes. 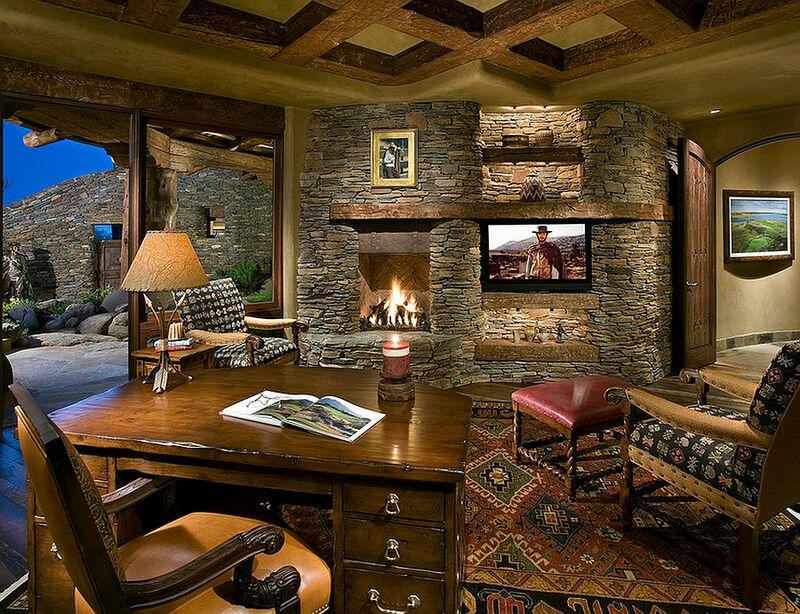 These majestic home offices almost seem incomplete without a blazing fireplace that sets the mood after sunset and adds to the ambient lighting inside the space. 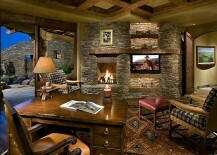 In the case of traditional home offices, a fireplace surround in brick or natural stone is always the safest and classiest option. 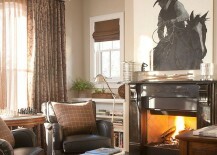 An Assorted Array of Styles! 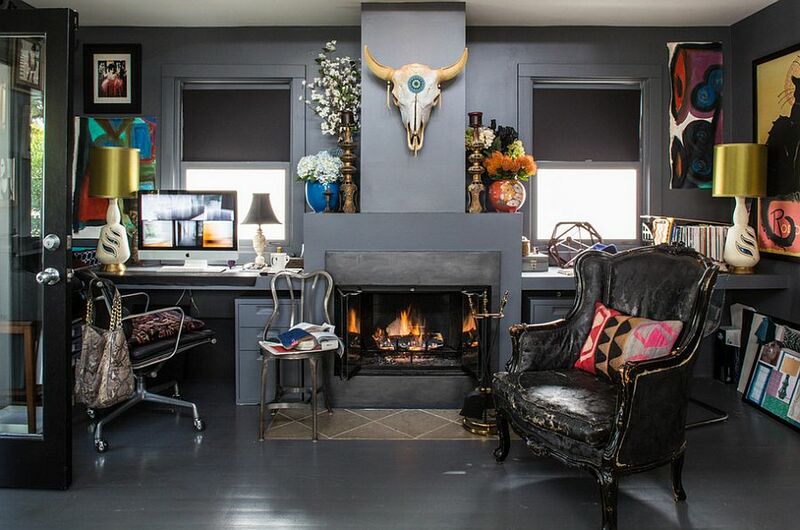 If you already have a chic home office and are worried about how a fireplace would alter its overall design and style, do not worry about it too much. 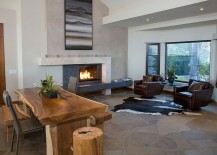 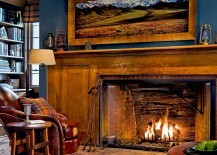 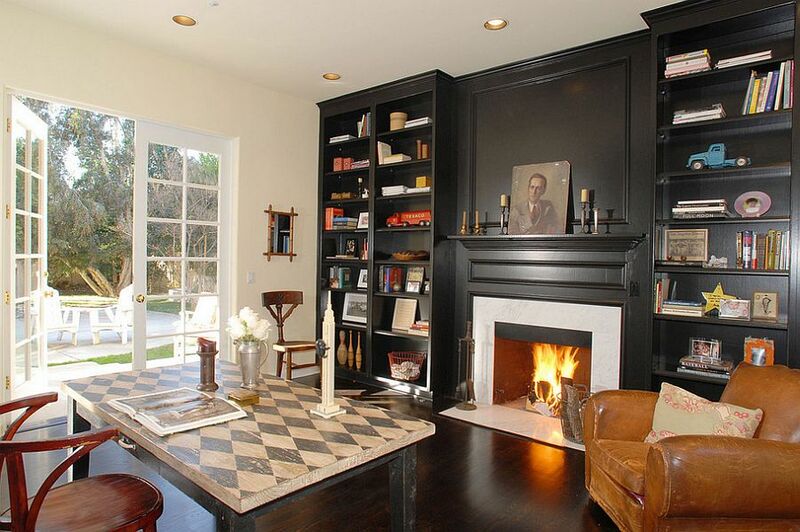 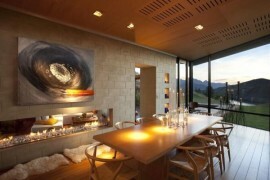 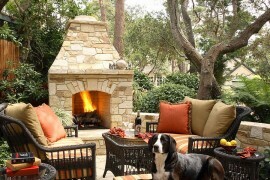 Fireplaces are one of those neutral additions that will blend into any setting that they occupy. 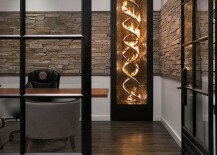 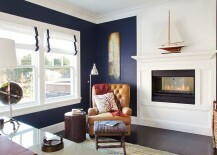 Of course, it is the materials chosen for the fireplace mantel and surround that make a bigger impact in this regard. 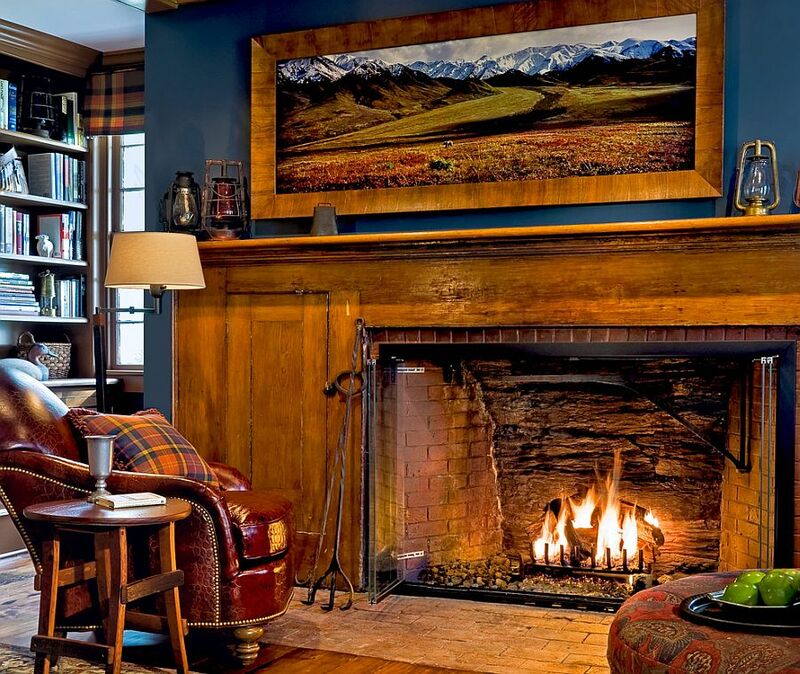 Whether the style of the home office is eclectic, rustic, farmhouse, Mediterranean or vintage, there is a fireplace out there that will slot in seamlessly with the existing space. 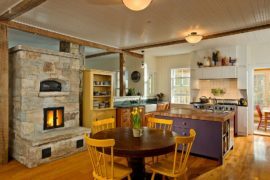 You can even beat the space conundrum by adding a corner fireplace that will give the desolate nook a magnetic makeover. 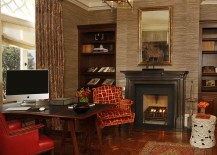 If you are thinking of adding a fireplace to the home office, now is the time to do it, as you will not hop on the trendy bandwagon, but will get it ready in time for the chilly winter in the months to come.